There's a new boat show in Connecticut this weekend, and it aspires to be one of the region's largest nautical events. CT SPRING BOAT SHOW: The first CT Spring Boat Show features some of the newest boats on the market including center consoles, fishing boats, luxury cruisers, sport and sail boats. The new Brewer Essex Island Marina, 11 Ferry Street, Essex, CT.
Visit www.ctspringboatshow.com for specific event details, parking info and more. With FREE admission and FREE parking for the show's inaugural weekend, CT Spring Boat Show will certainly be larger than the SailQuest boat show and Essex Spring Boat Show that combined to create this new bigger and better boat show. The first ever Connecticut Spring Boat Show will display over 70 boats varying in size from 20-75ft. 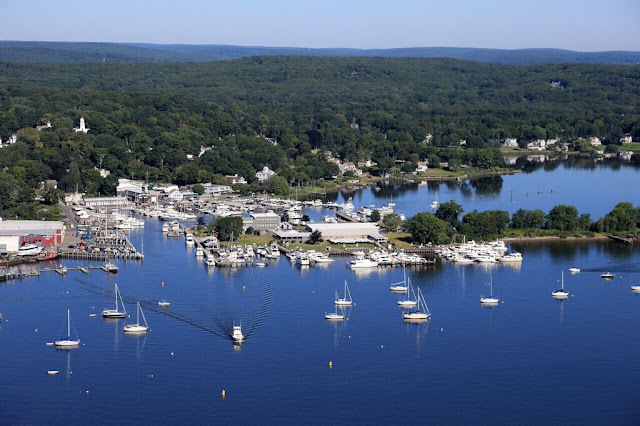 The event is set for May 13-15, 2016 at Brewer Essex Island Marina located in Essex, CT and is attracting interested boat buyers from Connecticut, New York, Rhode Island and beyond. The outdoor boat show is free for attendees, and coincides with another fun nautical event in the same seaside town: the annual ‘Burning of the Ships’ parade is scheduled to take place in the center of Essex on the same weekend. Visitors attending the free show will enjoy seeing a wide range of new and brokerage, power and sail models. Boating gear, accessories and service companies will also be on site with land exhibitors that include Sails Up 4 Cancer, Permateek, Boat Name Gear, Freedom Boat Club, and many more. Location: the new Brewer Essex Island Marina. We encourage you to check out www.ctspringboatshow.com for more information about this brand new show.